•	Eye Exams - We urge area residents to schedule yearly or bi-yearly eye exams (depending on their current eye/vision condition) without fail. Comprehensive eye exams can reveal the presence of sight-robbing diseases such as glaucoma, macular degeneration, and diabetic retinopathy -- diseases might otherwise go unnoticed as they damage your eyes. 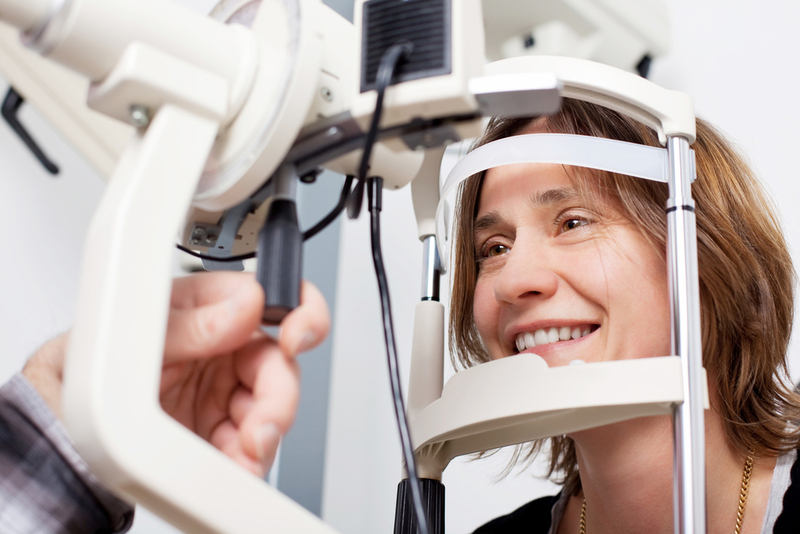 We can evaluate your eyes inside and out while also checking their visual acuity and function. •	Eyeglasses and Frames - Eyeglasses do a great job of correcting refractive errors, our eyeglasses do a great job of suiting your sense of style as well. We offer state-of-the-art lenses set into elegant frames by the world's most sought-after designers. Our team can even help you find the perfect shape and size of frames to complement your features. •	Contacts - Contacts make a convenient supplement or alternative to glasses, and you can get the perfect contacts for your needs here at Museum District Eye Center. After administering a contact lens exam, we can recommend the right product from our wide range of soft contacts, gas permeable contacts, and hard-to-fit contacts (for conditions such as presbyopia, astigmatism, dry eye, keratoconus et cetera). •	Ophthalmology - In addition to the primary family eye care you can receive from our optometrists, you'll also have access to ophthalmology services from our trio of skilled, experienced ophthalmologists. Ophthalmology includes medical diagnosis and treatment of all kinds of eye disorders, including surgical procedures to correct vision, remove cataracts, or treat retinal diseases. •	Eye Surgery - Whatever kind of eye surgery you may need, Museum Eye District Center can provide it. We can perform LASIK and other refractive corrections, replace diseased lenses with brand-new artificial ones, repair injuries, remove tumors, use lasers to stop retinal bleeding, and much more. •	Emergency Eye Care Services - When you're dealing with an emergency eye problem, you'll be glad to know that our team is ready to help. We can provide emergency eye care services such as treatment of chemical burns, removal of foreign objects, retinal detachment repairs, and treatment to arrest a case of angle-closure glaucoma (which can cause sudden vision loss). Visit Museum District Eye Center Today! Museum District Eye Center not only provides the wealth of services listed above -- we also offer 6 convenient locations to get them. Call any of our offices today to schedule high-quality eye care for your Houston-area family. We are your total eye care solution!